This is a 1939 Montblanc Meisterstück piston filler in Black Celluloid. Rare, long window with close to perfect pinstriping. Features gold-filled trim with outer cap bands in sterling silver. Double-broad, italic, slightly right oblique, wartime, alloy nib (gold, iridium, ruthenium). 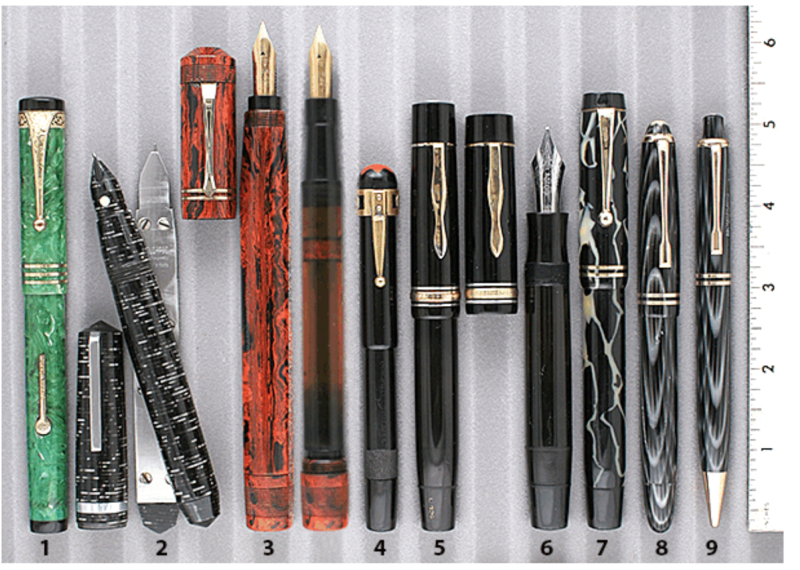 Many collectors report that the alloy nibs write even smoother than the gold nibs. Flat feed. Turning mechanism pattern information and the knurling is perfect. Near mint. Item #6 in Catalog #85.